On the Cover: A male Spodochlamys latipes Arrow. Photo by Mary Liz Jameson with digitization by Angie Fox. Mary Liz Jameson and Brett C. Ratcliffe. 2011. 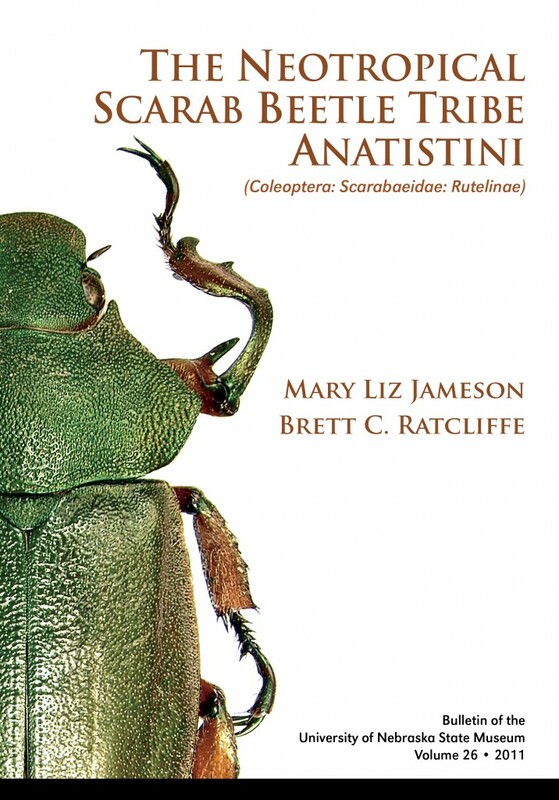 The Neotropical Scarab Beetle Tribe Anatistini (Coleoptera: Scarabaeidae: Rutelinae). Bulletin of the University of Nebraska State Museum (26). Brett C. Ratcliffe is professor of entomology and curator of the University of Nebraska State Museum. Angie Fox is a scientific illustrator with the University of Nebraska State Museum.